During my high school career I had almost no friends. Due to family circumstances I was in a different high school in a different town every year. I started off in Windhoek (grade 8), Cape Town (grade 9), Durban (grade 10), Windhoek (grade 11) and ended up back in Durban (grade 12). I was extremely shy and found it difficult to talk to fellow students because I had so little in common with them and my life was just so different from theirs. I spent a lot of time during school breaks sitting on top of the toilet lid, behind a locked door, reading a book! My life after school was also fragmented and it was only in my mid-twenties, when I turned back to God, that I started to make friends. 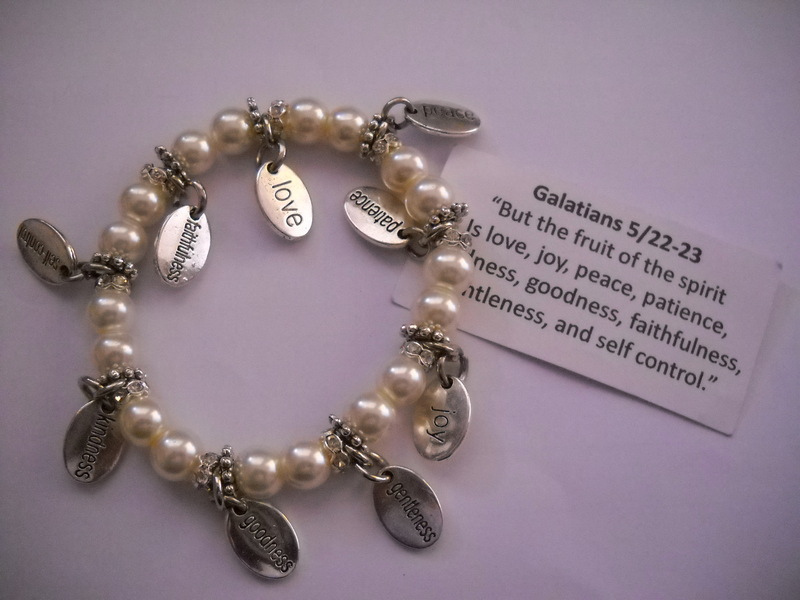 As I looked at these bracelets, specially made for me, I marveled at the people God has placed in my life. The friendships that I have made that are based on reality, love, forgiveness, laughter and tears. God has been so faithful to me in “restoring” my life and giving me friends. This bracelet reflects my love of God and my walk with Him. “ And I am convinced and sure of this very thing, that He Who began a good work in you will continue until the day of Jesus Christ, developing [that good work] and perfecting and bringing it to full completion in you.” (Philippians 1:6). It reinforces the knowledge that if I continue to trust God my life will start to reflect the fruit of the spirit – the ‘fruits’ are taking an awfully long time to manifest themselves but I will get there one day!! 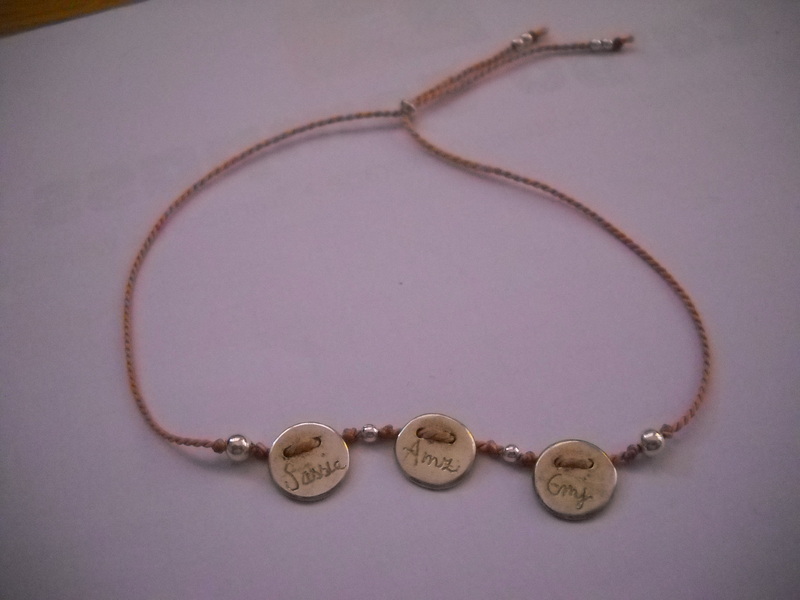 This bracelet reflects my love for my children and my family. The fact that it is my girls nicknames that are engraved on the discs is extra special. 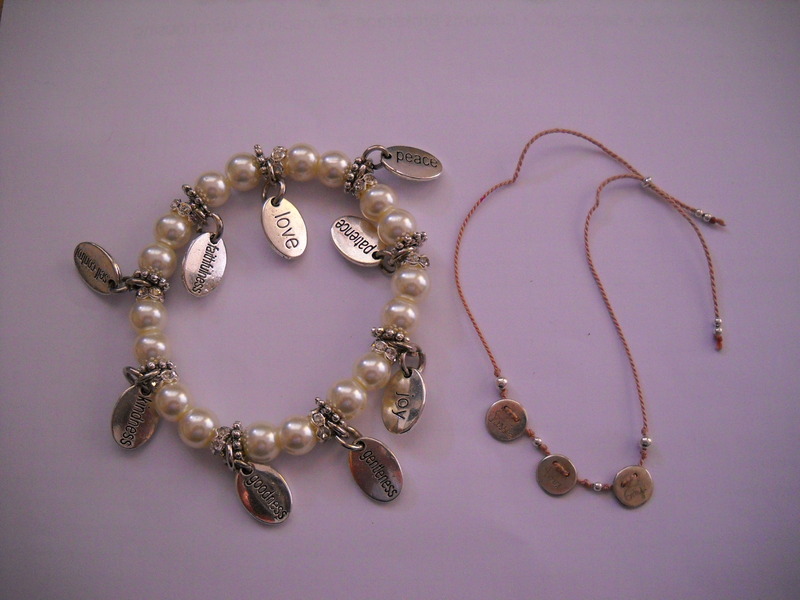 The thought and care that went into the making of these two bracelets made my heart want to cry. Ecclesiastes 4:9-10 says “Two are better than one, because they have a good return for their work. If one falls down, his friend can help him up”. These two friends have often ‘helped me up’ when I have felt discouraged and defeated. God has also given me the most incredible prayer partner as a friend (It took six years for God to answer my prayer for a prayer partner but, believe me, Bertha was worth the wait!) and has filled my life with other friends. My cry for a friend in my youth has been met with abundance, and the loneliness that I endured when I was younger, is a distant memory. 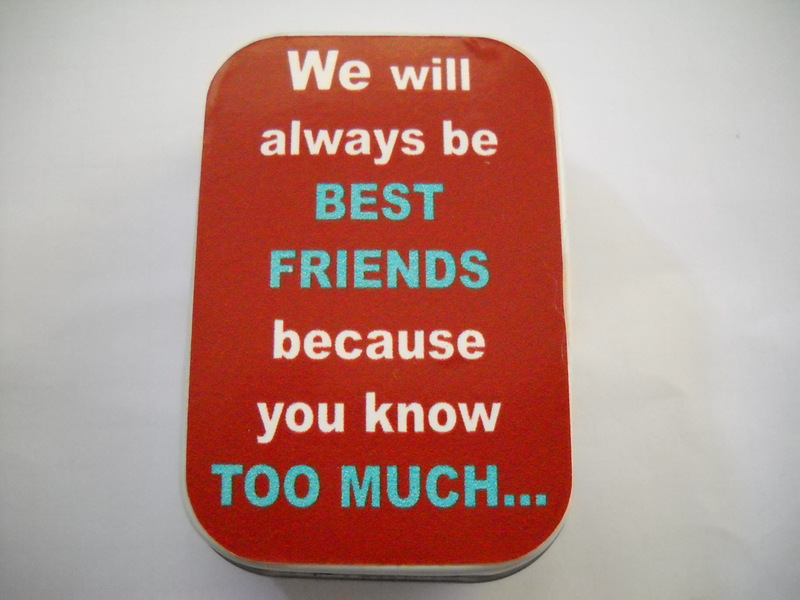 And then there are three people who are always going to be my best friends because they know too much about me! God also gave me a soul mate, my husband, who is my closest friend. God is the God of restoration – he is also the God who answers our prayers. This entry was posted in God, Love, Uncategorized and tagged friendship, grace, restoration, thankfulness. Bookmark the permalink.